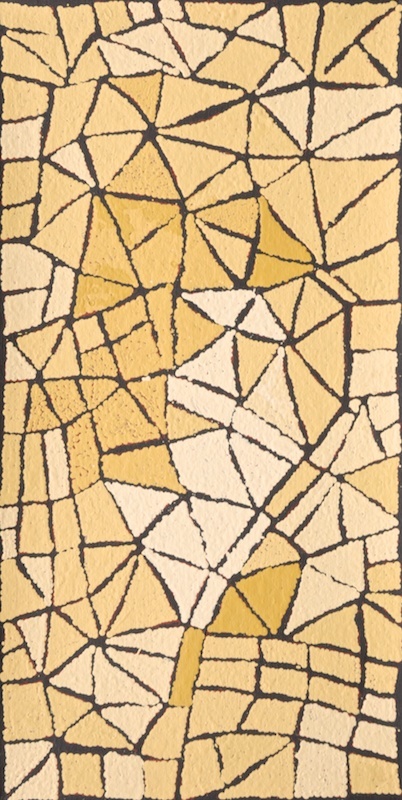 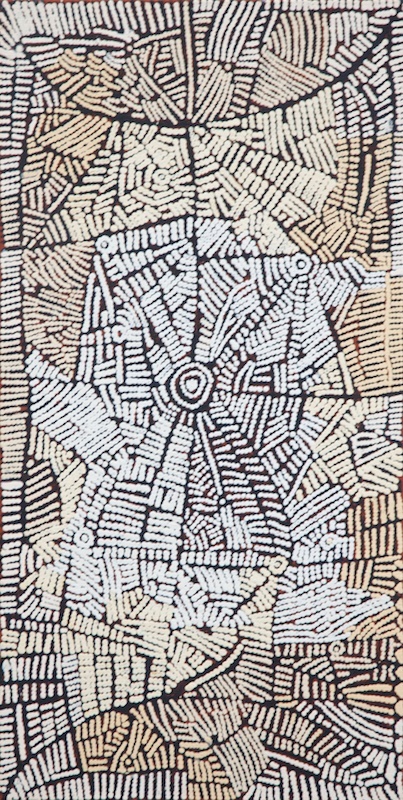 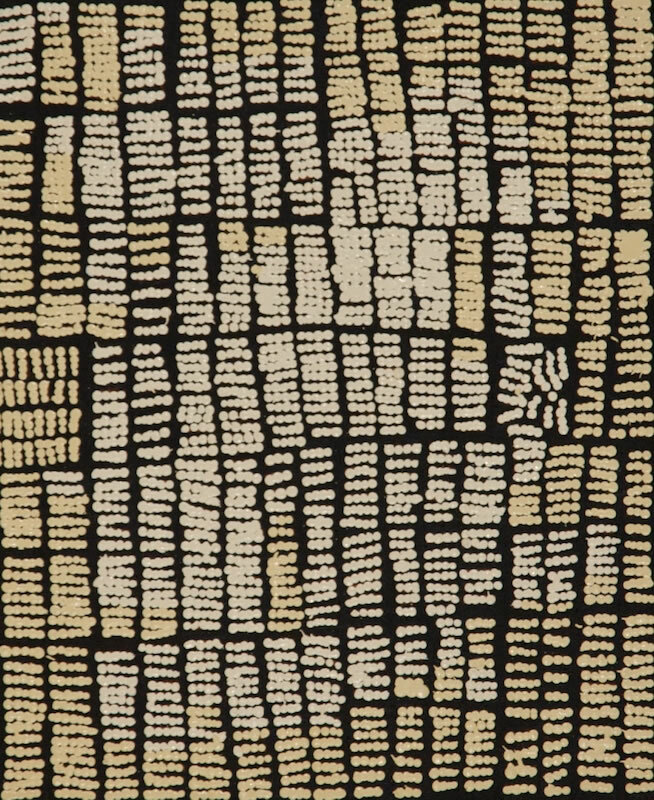 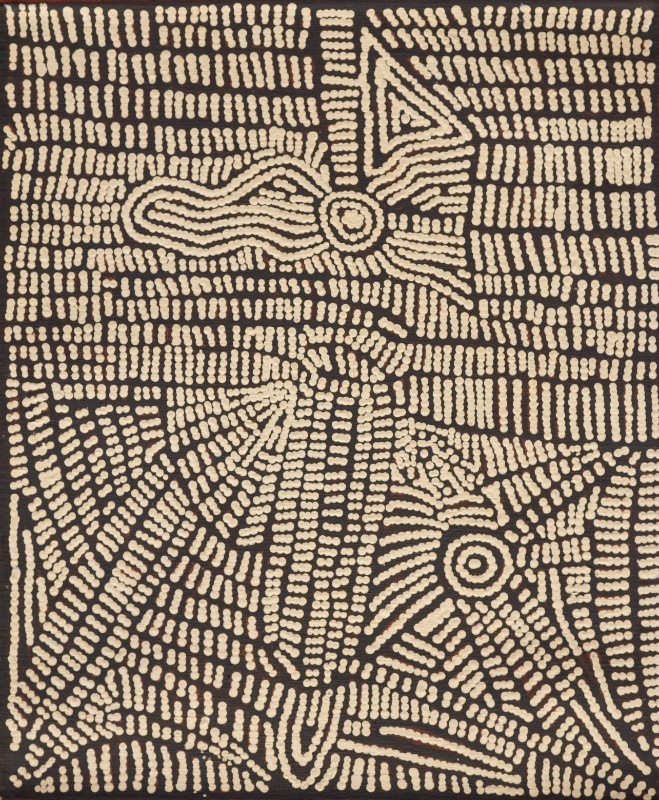 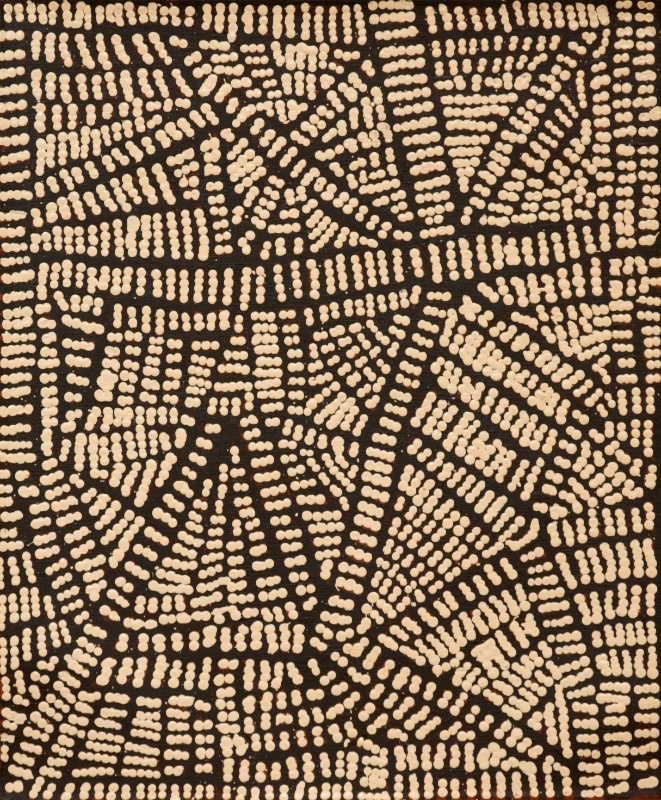 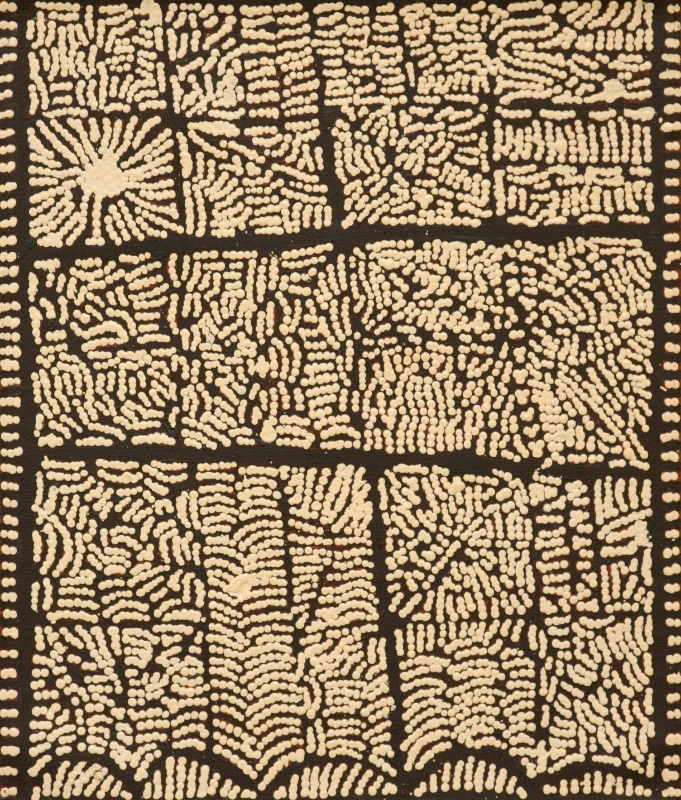 Lorna Napanangka's technique of precise dotting in white onto a black background has been a strong influence on other Pintupi women painters (Vivien Johnson, 2008). 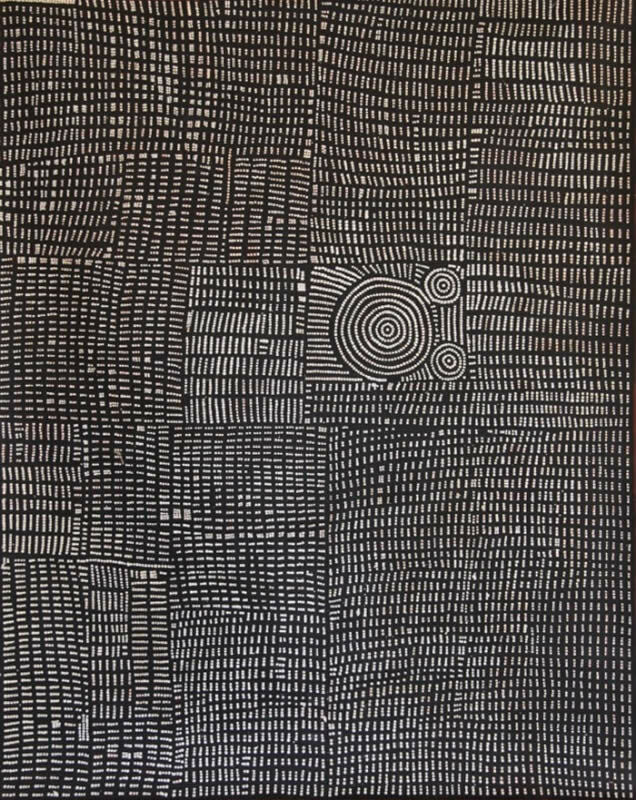 Lorna is the daughter of Timmy Payungka Tjapangati, who was one of the original shareholders of Papunya Tula Artists. 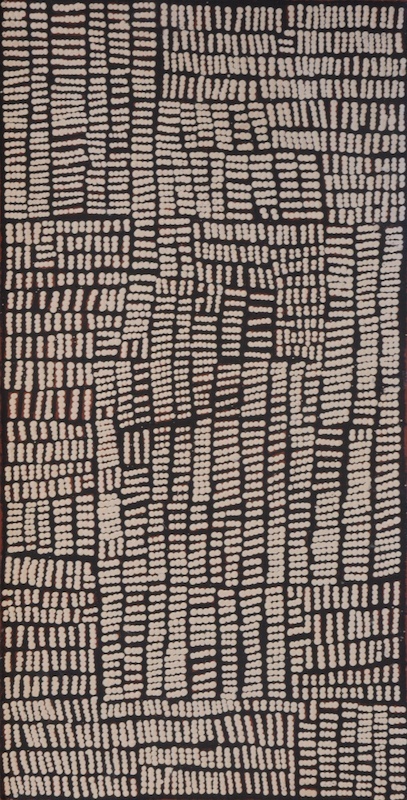 She was born in 1961 and began painting at Kiwirrkura in 1996. 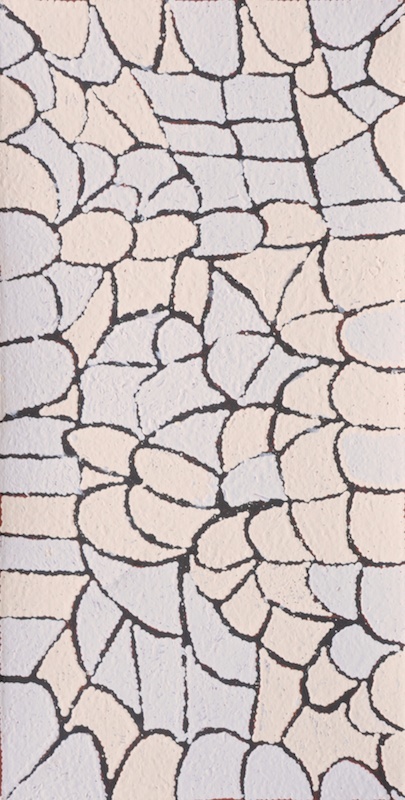 She has appeared in numerous group exhibitions since then and two solo exhibitions. 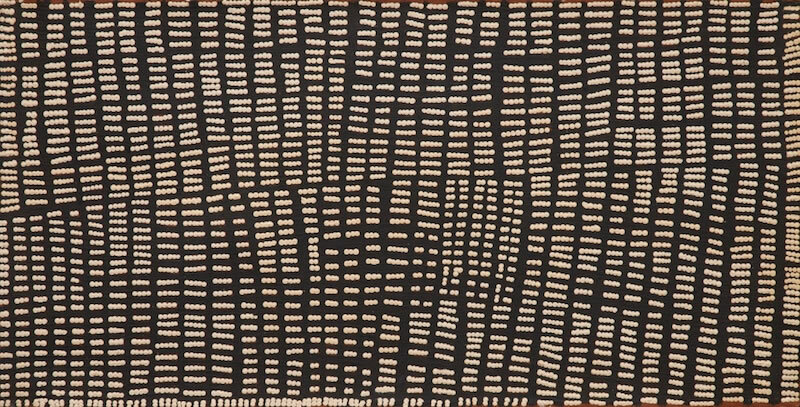 Her work can be found in national and international art collections, including the Art Gallery of New South Wales, The National Gallery of Australia, the Flinders University Art Museum and the Seattle Art Museum.